This is a quick post bragging about my Big Sister. You see for the last several years she has done something pretty amazing. She has participated in the Pan Ohio Hope Ride. 328 miles. On. A. Bike. She will make the trek from Cleveland (our hometown – no jokes this time, please:)) to Cincinnati (my mom’s birthplace). She rides a bike and people sponsor her. The money goes to benefit local programs and the Hope Lodges – meaning all the money goes to helping people fight cancer. The American Cancer Society’s slogan is that they are “The official sponsor of birthdays”. Pretty awesome. What makes this year special? My sister beat thyroid cancer this year. The ride had been personal to my sister already – there have been a number of people close to us touched by cancer. Now, it truly is personal. So, I am going to ask a favor here. Can you buy my sister a birthday gift? 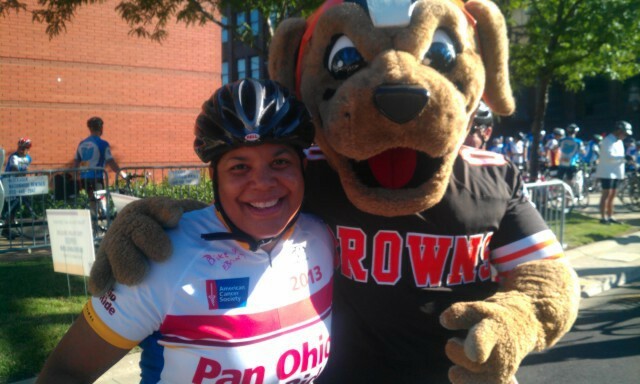 Go to the Pan Ohio Hope Ride page and you have to search for her by her name – Lori Anthony. If you can donate $10 that would mean the world to her – and someone else. Don’t want to put your name? You can call yourself a “Friend of The Captain”. Thanks to the good doctors and care she received, my big sister will celebrate many more birthdays. Lets help give others hope to celebrate more as well. Thanks for the chance to brag about my Big Sister and the American Cancer Society. You are such a great big brother. Love you, brotherman!